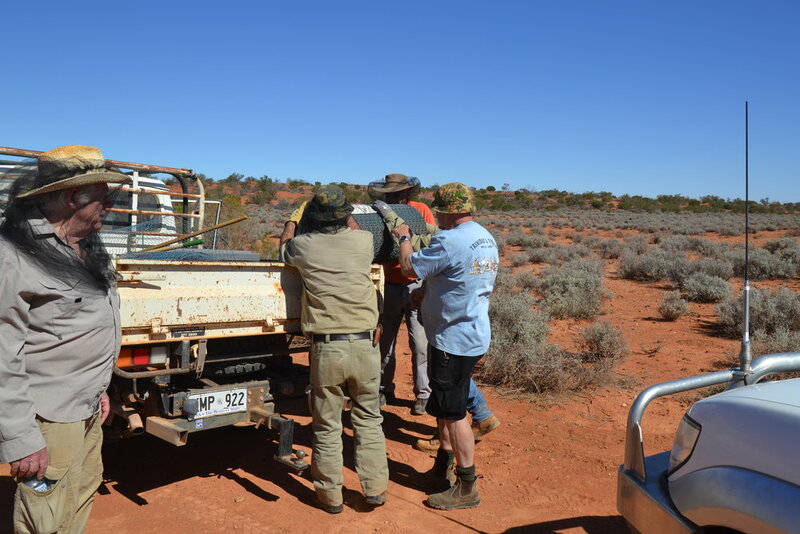 Arid Recovery is an independent, not-for-profit conservation initiative reserve in South Australia. 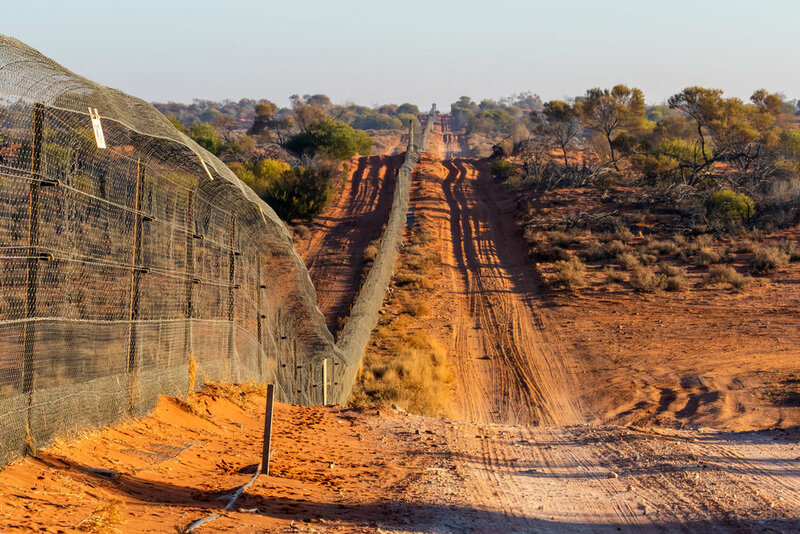 Established in 1997, the program is centred around a 123km² fenced reserve. Feral cats, rabbits and foxes have been eradicated from a total of 60km² and this has provided an area of complete protection into which four species of locally extinct mammals have so far been reintroduced. The Rotary Club of Frankston has donated labour and equipment such as a chainsaw, an 8kva diesel generator and electric vehicle hoist. The next stage is to refurbish some relocatable huts to provide an educational room and facilities for onsite researchers. Arid Recovery is 123 square klms and incorporates 6 separate compounds. Each compound is surrounded by an 80Klm 2.5 M high wire netting fence. The Main Enclosure, First expansion and Northern Expansion, have been totally eradicated of feral animals. It now has a population explosion of re-introduced endangered native mammals. The top of the fence has an outward facing arced wire mesh so that the feral cats/foxes etc. can’t flip themselves over the top. This has been proven to work and is now used internationally. At the base of the fence more wire mesh is clipped to the fence then bent flat on the ground. This is held down by rocks to stop dogs/rabbit’s etc. digging to enter the compound (or escaping). They don’t think to dig under the wire mesh. 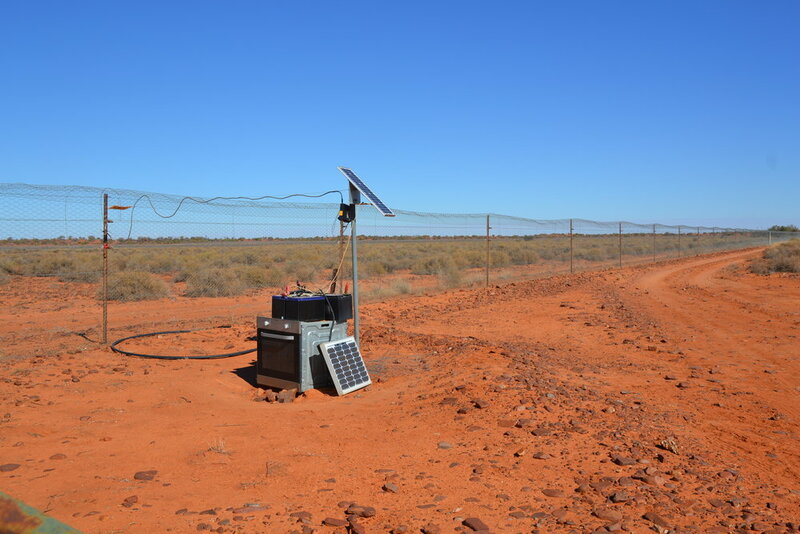 A research project to help make the native mammals more cautious of feral animals required the building of one way gates that were installed in the fence. Manually lifting the wire netting off the back of the ute was an issue. A very happy John Crompton from Arid Recovery with the new crane, generator and chain saw donated by the Rotary Club of Frankston. In 2018 we built a deck for the education room. Robin Stewart & John Crompton drilling the stump holes for the deck. 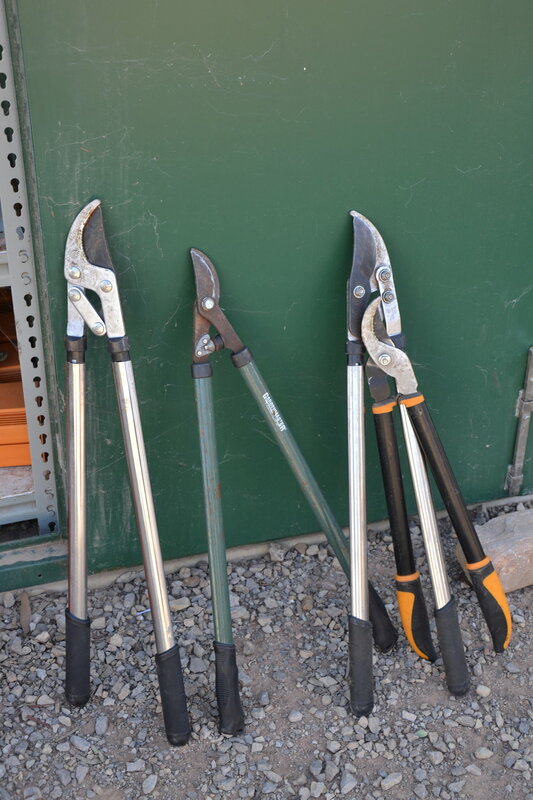 In 2018 we also donated 2 brush cutters and an air compressor to help with the fencing of Arid recovery. In 2015 the RCF donated the electric fence for the Main Enclosure. In 2016 we sharpened the tools and cleared brush from the tracks and either side of the fence line. At the entry security gate the road side stones were removed and placed in the water run off area inside the compound. This allowed the tour buses easier access. The 2 trailer loads of rocks and many hands made light work of this. The Research Station decking and blinds have also been repaired, followed by the essential scones. In 2017 The presentation of the chain saw, electric crane and 8KVA generator. In 2017 we completely refurbished the kitchen and connected the water tank to the kitchen. Neil Black cutting the stumps to height with an angle grinder. Members of the Rotary Club of Frankston involved in the construction of the deck.